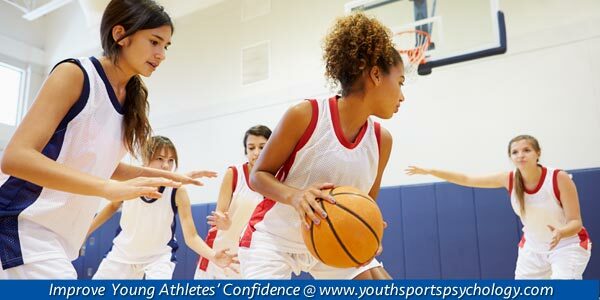 What are the biggest confidence challenges for young athletes? They immediately focus on the negative side of the feedback that coaches are trying to give them. We interviewed Wissel about his tips for building confidence in basketball shooters, and he offered some observations that apply to all young athletes. young athletes how to look and act like athletes. He also reminds shooters that they don’t have to be perfect players to make a shot. Players need to avoid paralysis by analysis, he adds. To teach kids to flow more freely, he teaches them rhythm. “Rhythm gives them the range to make 3-point shots,” he says. The idea is to get them into a “flow” that allows them to play intuitively and take risks. These are key to helping young athletes grow, as we’ve said many times! 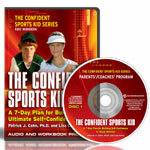 Want to learn many more confidence-boosting tips for young athletes? But that’s not all. Members have access to loads of videos, articles, e-books, Questions-and-Answers and audio interviews—all designed to ensure you improve your sports parenting skills and your kids make the most of their physical talent. What are sports parents saying about our resources? I think that’s a great approach to coaching. You don’t want your players to have to think through every movement of a play because they’ll get hung up on one step. It has to become second nature so they can think on the fly.